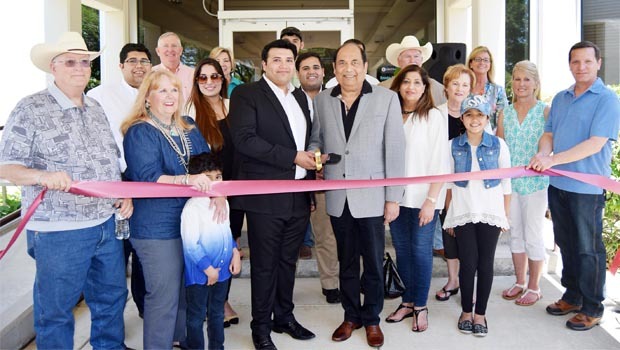 Faraz Hashmi, chief executive officer of Central Hospital of Bowie, and his father, Dr. Hasan Hashmi, chairman of the board, cut the ribbon at the hospital’s grand opening on May 6. A large crowd of guests enjoyed a barbecue during the lunch grand opening presented by the Hashmi family that purchased and reopened the hospital after it had closed 19 months ago. Bowie Real Estate Holdings, represented by Dr. Hasan F. Hashmi bought the hospital in March 2016. Hashmi and his sons, Faraz and Suleman operate Texas General Hospitals with facilities in Grand Prairie and Grand Saline. Faraz Hashmi has been working as chief executive officer of Central Hospital. Annette Williams is the chief clinical officer. The hospital’s emergency room, lab, X-ray and a small number of beds opened on April 6. “We feel blessed, you have given us all the support we need and the confidence for where we are going. We are a family-oriented organization and want this to be a community-centered place where every person in the city and county feel like this is their facility. We will grow it based on what you tell us the needs are. We started with the core services and want to grow those lines by attracting specialists. Your family and loved ones can be treated here at home and you can visit comfortably because your hospital is here in Bowie,” said Hashmi.